When it comes to economic issues such as the minimum wage, unions, welfare dependency, free trade, rent control, etc., Thomas Sowell is scintillatingly brilliant. In essay after essay, in book after book, this Hoover Institution economist lays waste to the multitudinous fallacies that poison public discourse on these issues. Another word also describes his contribution to this field of study: “courageous.” In the ideal society, one would not need any measure of bravery to confront any issue in social science or ethics. In our present one, alas, Dr. Sowell’s incisive analysis of these issues warrants nothing less than this compliment. He has been vilified, excoriated, viciously attacked, unfairly impugned, over and over again, and he still comes out of his corner of the ring, again and again, gloves blazing. One of my least favorite disparagements of him is that he is an “Oreo cookie” (his friend and colleague Walter E. Williams has been also characterized in this manner); see on this here, here, here and here. The “idea” here is simple: all African-Americans must be socialists, liberals, progressives, leftists (who in his right mind could disagree?). Thomas Sowell is anything but. Therefore, he cannot be authentically black. His skin is dark alright, but his inner core must be white, since he favors private property rights, capitalism, free markets, etc., all of which are quite well-known (at least by economic illiterates) to create poverty, hurt the poor, etc. Hence, he is an Oreo cookie. So much for the praise. Oh, wait, one more minute. One of the highlights of my entire career is that I am honored to be the editor of a volume which contains an essay of his: Sowell, Thomas. 1982. 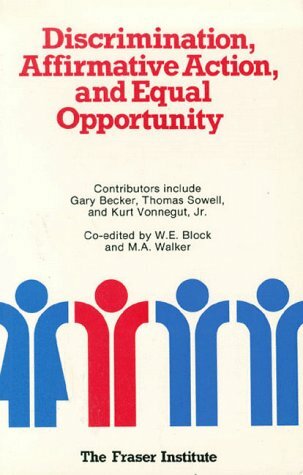 “Weber and Bakke and the presuppositions of ‘Affirmative Action,'” Discrimination, Affirmative Action and Equal Opportunity, Walter E. Block and Michael Walker, eds., Vancouver: The Fraser Institute, pp. 37-63. Here is a bit of a background story on this publication. 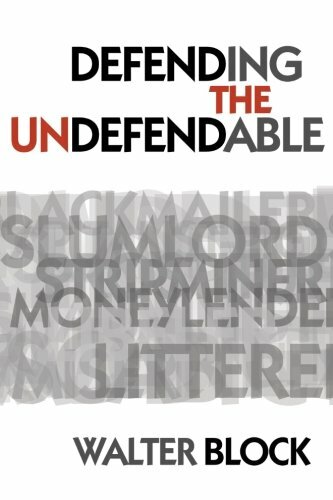 When Tom Sowell sent me his contribution, he wrote that if I changed a single word of his material, he would refuse to publish it in this book with me as editor. Evidently, he had been burned by editors in the past, and, I suppose, he didn’t realize I was a gigantic fan of his. In the event, I found several typographical errors of his, corrected them, told him about them, and the rest, as they say, is history: I was indeed able to include his splendid essay in this book. “Barack Obama’s decision to pull American troops out of Iraq, with happy talk about how he was ending a war, turned out to be a bitter mockery when the policy in fact opened the doors to new wars with unspeakable horrors in the present and incalculable consequences for the future. “The glib rhetoric that accompanied the pullout of American troops from Iraq was displayed once again when the rise of ISIS was dismissed as just a junior varsity team trying to look like a serious threat. But now that ISIS controls a big chunk of Iraq and a big chunk of Syria, it is the Obama foreign policy that looks like the work of a junior varsity team. Notice anything peculiar here? The point is Sowell quite clearly sees that getting rid of “strongmen” in Egypt and Libya brought in its wake something worse, far worse. But, he does not seem to realize that the same exact analysis applies to Saddam Hussain in Iraq! The “problem” is not that Obama pulled the troops out of that beleaguered country, it is that Bush sent them in there in the first place. And the same exact point applies to Bashar Assad in Syria! (See Buchanan’s insightful analysis, “Putin is right” on this here). The Sowell who writes about economics and racial discrimination would never have made such a rookie mistake. But in this area, he is as if at sea without a rudder. 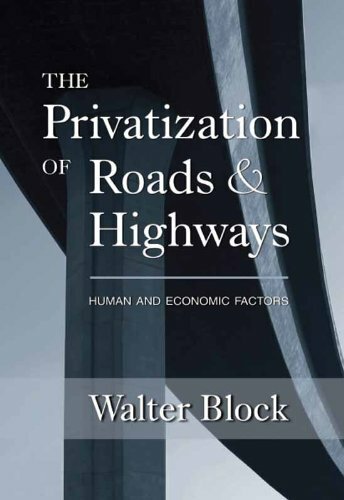 Happily, Thomas Sowell is an exception to one of Murray N. Rothbard’s “laws.” This particular “law” goes as follows: people specialize in The Privatization of R... Walter Block Check Amazon for Pricing. what they are worst on. Murray used Milton Friedman as an example. Milton was excellent on things like free trade, occupational licensure, minimum wages, rent control, etc. He was horrid on money (he was a bitter opponent of the gold standard), macroeconomics (he was a Keynesian), taxes (withholding) and education (he supported the socialist voucher system). So, what did he specialize in? The former? The latter? As everyone knows, virtually 99% of his output concerned issues on which he was awful. I am delighted to say that the same cannot be said of Professor Sowell, and I am sure Murray would be happy to have this law of his violated in this case. Very little of Sowell’s writing involves foreign policy. The overwhelming majority of it focuses on issues where he is superb. There is, however, one unfairness that involves him, apart from the “Oreo cookie” business. It is that he has not (yet) won the Nobel Prize in economics. Of course, there is a reason for this, and it is not because he is black. Well, at least I do not think so (hey, I’m not sure). It is due, instead, to the fact that he writes clearly, addresses real world controversies, and does not engage in anything like hyper-mathematicalization. On the other hand, the same could be said for F.A. Hayek, and Elinor Ostrom, and they were indeed awarded this distinction. So, enquiring minds want to know: WHEN WILL THOMAS SOWELL WIN THE NOBEL PRIZE IN ECONOMICS? This is long overdue.